We constantly improve the quality of our products and services, add features and create new bundles. Follow ups with our customers showed that not all of these changes reach their attention. They are often surprised and excited to hear about these features, free tools or license bundles. This is a list of the changes that often go unnoticed. 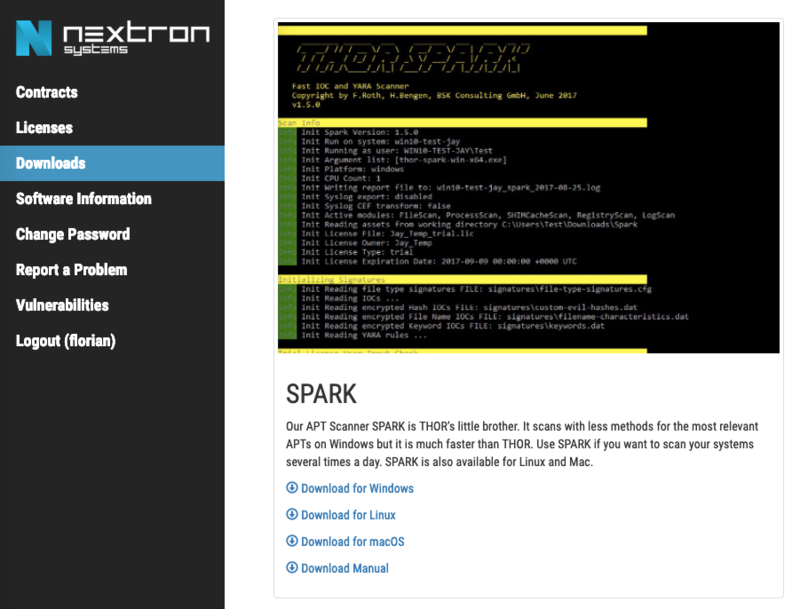 Customers who have bought scanner licenses to scan Servers and Workstations, be it an Enterprise or Host-based license, can use both our scanners THOR and SPARK. 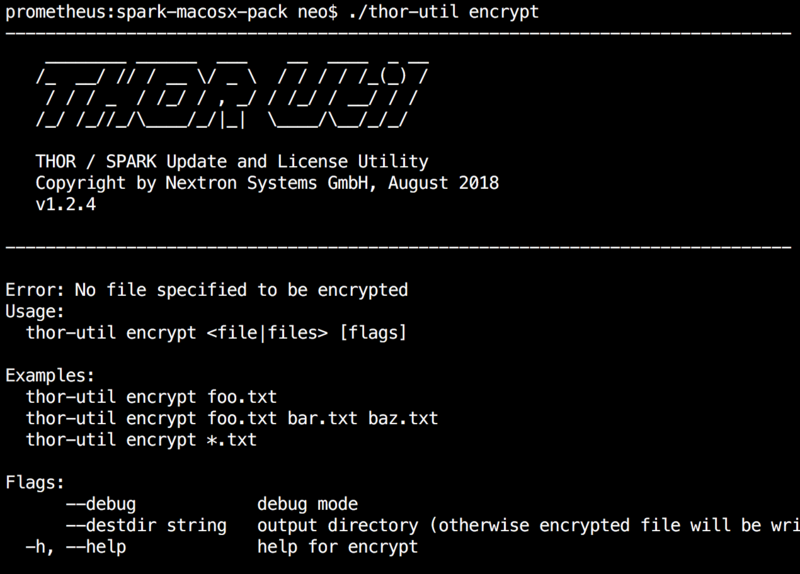 If you have bought an Enterprise license for THOR in the past, you are also allowed to download and use this license with SPARK on Linux or macOS endpoints. Download SPARK from the “Downloads” section in the customer portal. Customers are often surprised to hear that. 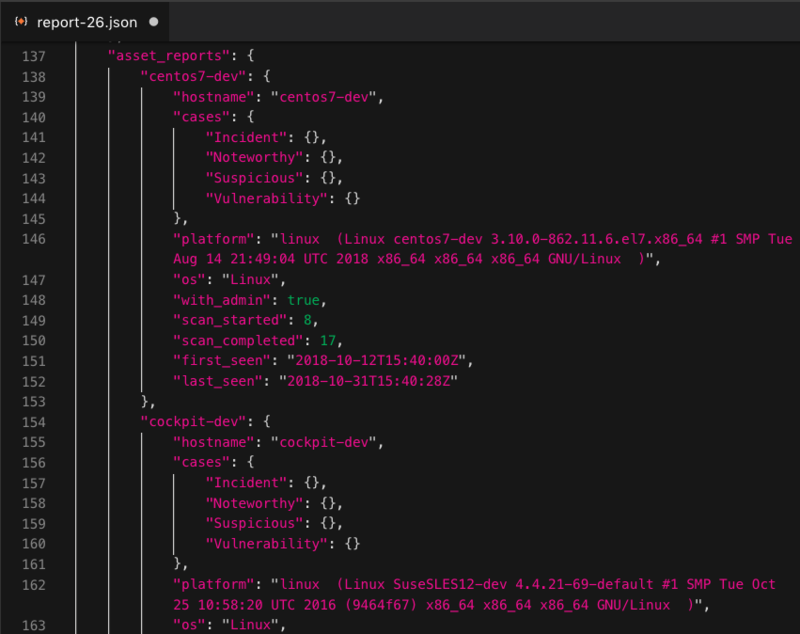 We have customers that are not allowed to collect logs on endpoints due to legal restrictions but they are able to start executables like our scanner SPARK on endpoints, which is able to apply Sigma rules on local Eventlogs. This way, they can apply detection rules on systems that they do not actively monitor. 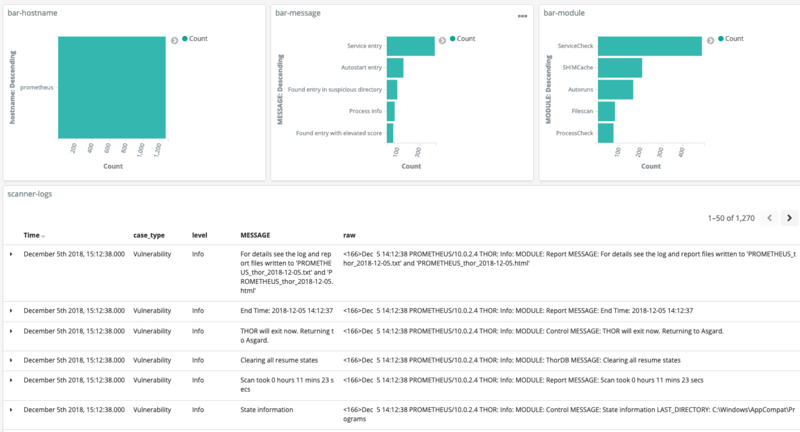 The blog post – SPARK uses Sigma Rules in Eventlog Scan has more information on that feature. 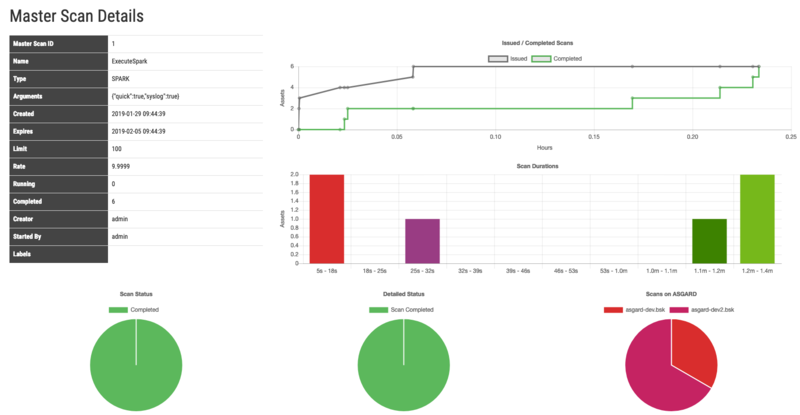 Enterprise customers with a valid support contract for our scanners are eligible for a free ASGARD Management Center, which is able to control and schedule scans on up to 10.000 end points and an Analysis Cockpit, that allows you to ingest and analyze the logs of up to 50.000 end points in a comfortable manner. Customers with more than 10.000 licensed endpoints are eligible for additional ASGARD Management Centers and a MASTER ASGARD, which is the central management for multiple ASGARD systems. See the Video Tutorials page to learn how these systems can help you with you daily management and analysis tasks. If you are interested in these systems and your account status, please contact your account manager. The customer portal contains a CSV with information on all 9973 YARA rules in our signature set (as of 16.02.2019). This way you can verify if a certain threat group or campaign is covered by our rules or not. You can find that CSV in the “Software Information” section together with binary hashes and an update server status on all our products. We do not support this coexistence but prepared everything to make it easier for you to install Kibana next to our own interface to analyze the collected log data. The analysis cockpit manual has a chapter that explains how to install Kibana on an Analysis Cockpit. The Analysis Cockpit wraps Kibana and serves access as reverse proxy providing a common authentication. You can manage the service from within the “Settings” section of the Analysis Cockpit. If you have any feedback, questions on these features, please let us know. We are glad to announce our new product MASTER ASGARD, a central control for a set of ASGARD systems. 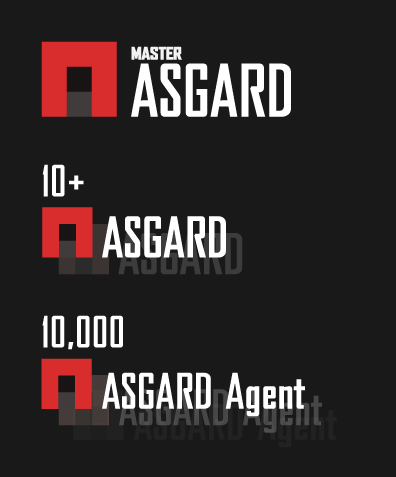 MASTER ASGARD is designed to control multiple instances of ASGARD, which itself supports up to 10,000 endpoint agents. Using MASTER ASGARD you are able to control more than 100,000 end points from a single central location. MASTER ASGARD will be available for BETA program customers at the end of February and to the full customer base in May 2019. 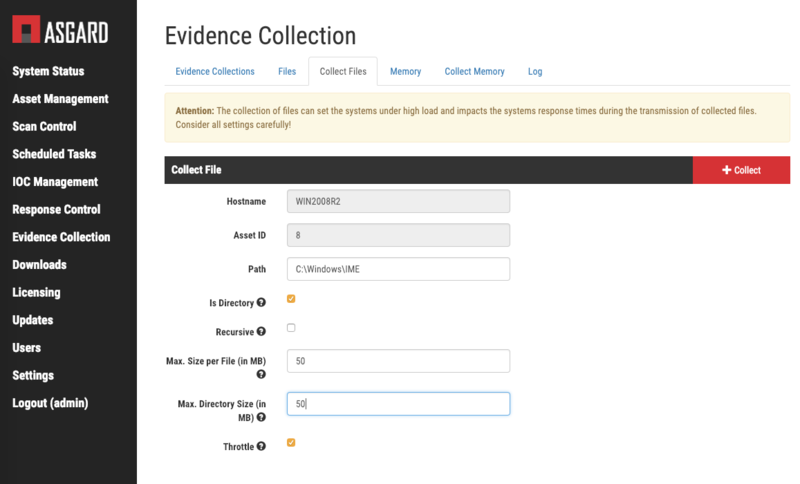 The evidence collection feature allows you to collect files or main memory from connected end systems. The memory and file collection tasks provide a throttling option to reduce the upload speed of the dump files in order to save bandwidth and avoid higher response times of servers or workstations. The file collection feature allows you to get a single file, the contents of a folder with or without its sub directories. You can set size limits for each file and the whole archive. 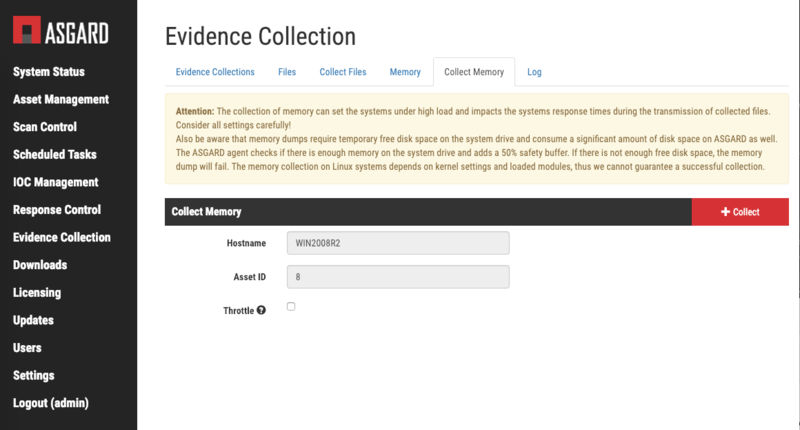 The “Evidence Collection” tab lists all active and completed tasks. 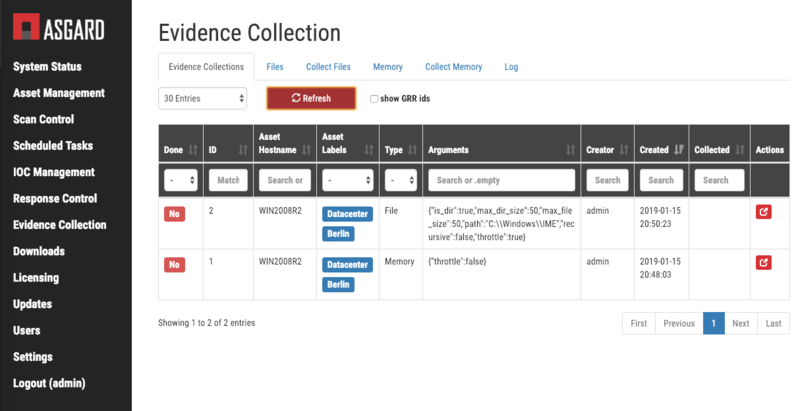 A log shows you the details of all the collection tasks. 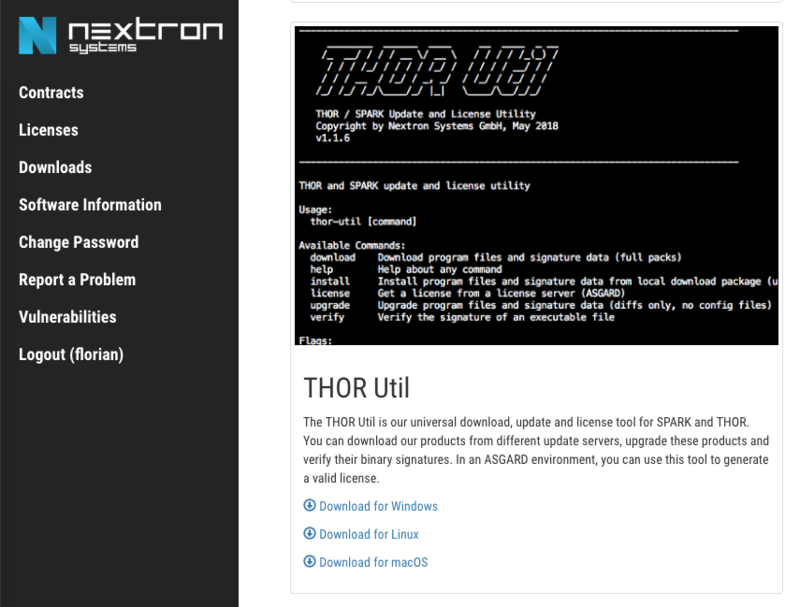 ASGARD version 1.7.2 has been released today and can be upgraded via the “Updates” section. Please note that the memory collection on Linux endpoints is integrated but not fully supported. As previously announced our YARA rule packs and feeds will be available in March/April 2019. 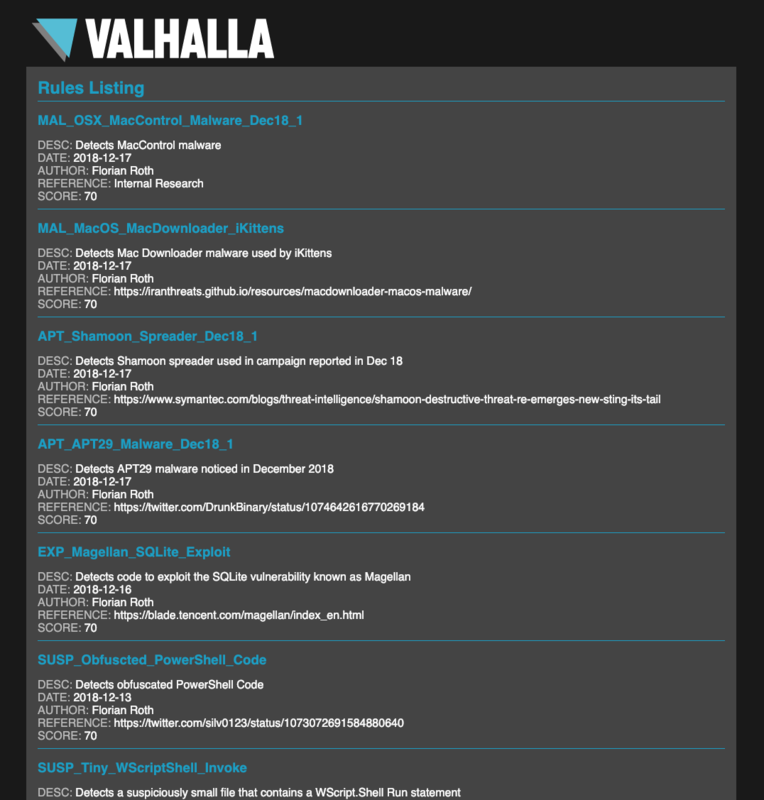 We’ve put a lot of effort into a internal system named “Mjolnir” that parses, normalizes, filters, tags and automatically modifies our rule base, which contains more than 9000 YARA rules. This system will now fill a database of tagged YARA rules – the basis of our new YARA services. The YARA rule set consist of more than 7000 YARA rules of different categories that are used in our scanners. Some of our rules use extensions (external variables) that are only usable in our scanner products. These rules, experimental, third party and other classified rules will not be part of the purchasable rule set. 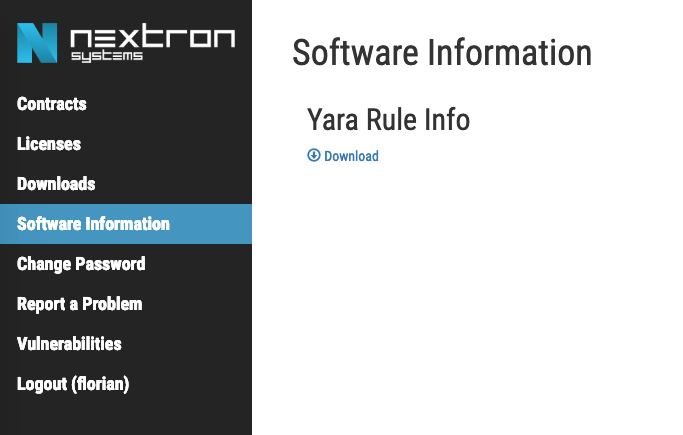 The YARA rule feed is a subscription on our rules. The feed always contains the rules of the last 90 days, which is between 250-400 YARA rules. The quality of the rules in the rule set are comparable to the rules in our public “signature-base” repository. The rules are tested against a data set of more than 350 TB of goodware. The goodware file repository consists of Windows OS files, several full Linux distributions and a big collection of commercial and free software. However, false positives are always possible. We do not recommend any destructive action on a signature match, like delete or blocking. Later this month the new version 2.2 of ASGARD Analysis Cockpit will be released. These are the most important new features. 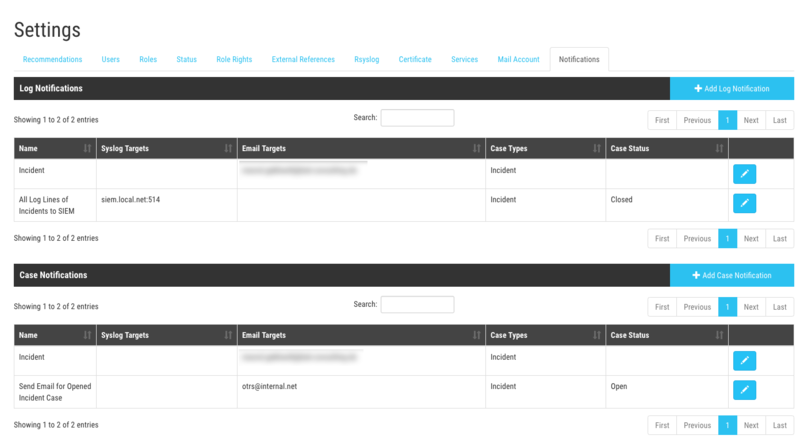 The new “Optimize” button allows you to add all unassigned log lines to existing cases with matching filters. It is possible that you miss some events when creating a new case, either by the wrong selection or due to the fact that new log lines can arrive at any time via SYSLOG or log file import in the background. 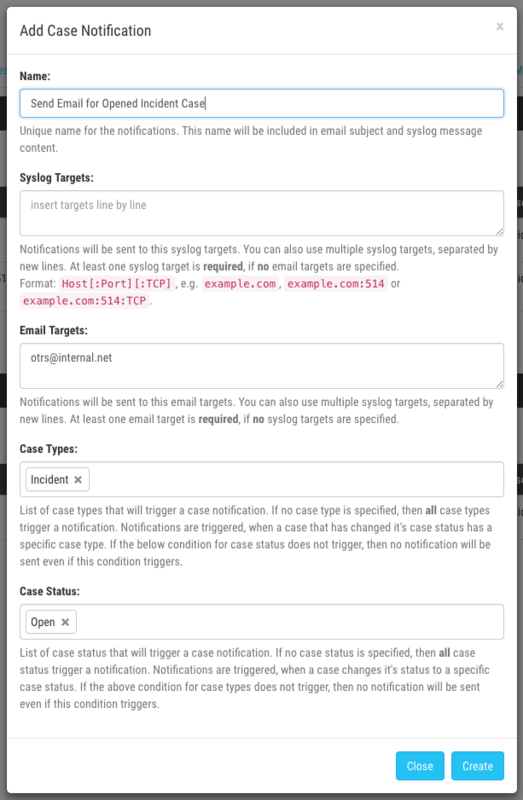 Now it is possible to add all unassigned log lines to previously created cases by using the “Optimize” button. It will not remove previously assigned log lines from existing cases. It just helps you to clear up the base lining section by removing events that are related to existing cases but haven’t been assigned to these cases yet. You can later review all automatic assignments in the “Automatic Event Assignment” protocol. This allows you to define flexible rules for many different events. You may e.g. create a rule that sends an email notification whenever a new “Incident” case is opened. 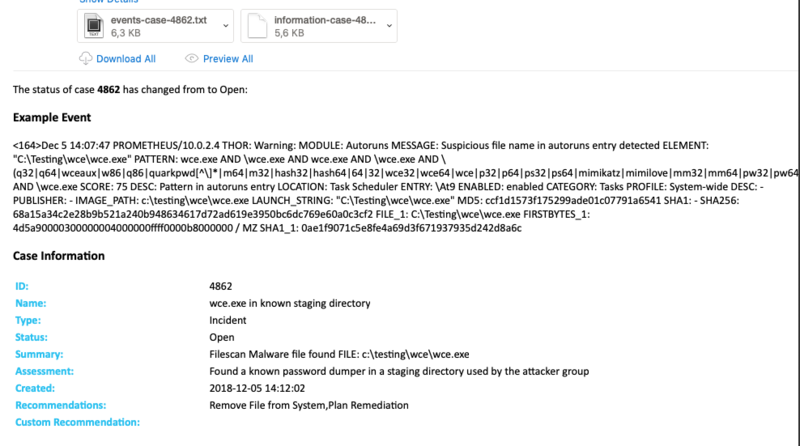 The attachments of these emails contain the included log lines (text) and a JSON with all case information in machine readable form. The File Importer status view has been improved so that it shows the number of total files in queue and the number of processed files. 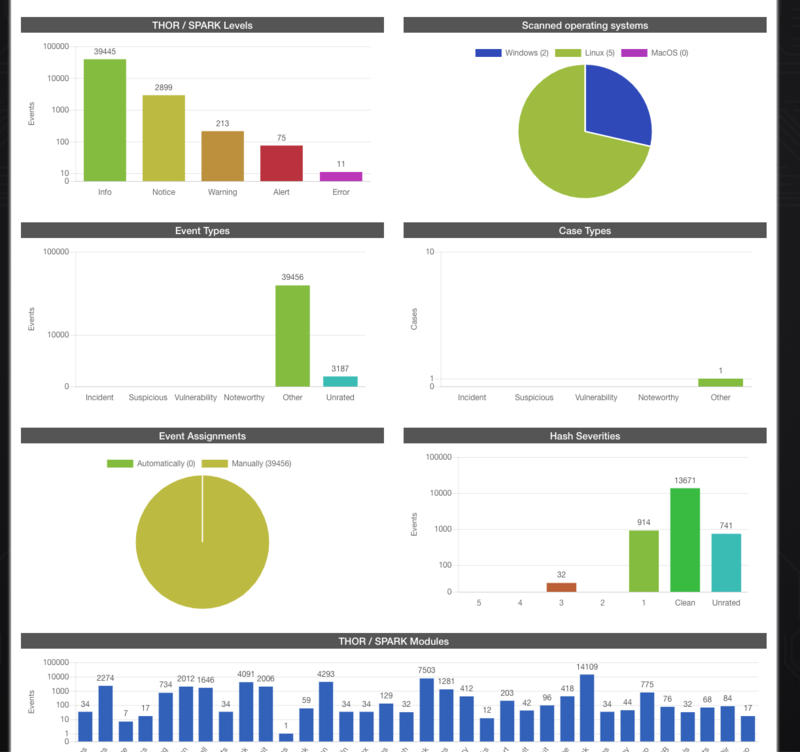 The new improved reporting allows you to generate reports not only for a given period of time (e.g. 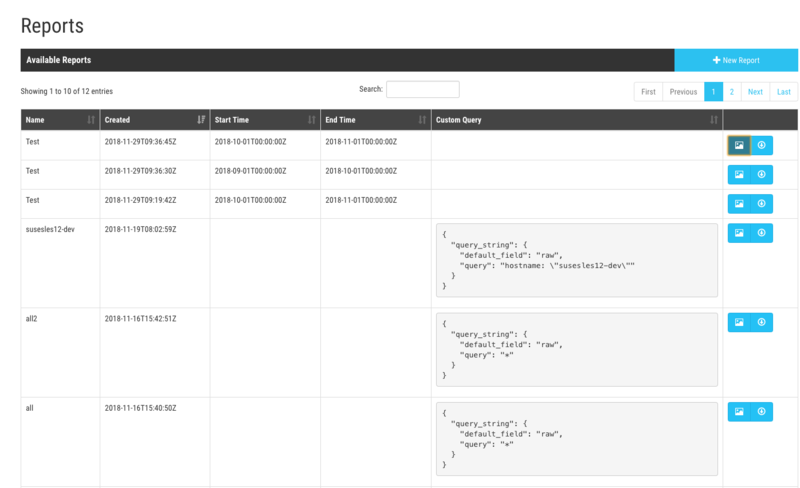 last month) but custom queries on the ElasticSearch database. E.g. you can generate report for the scans on your SuSE linux systems only. The reports contain more panels and information on the data set. 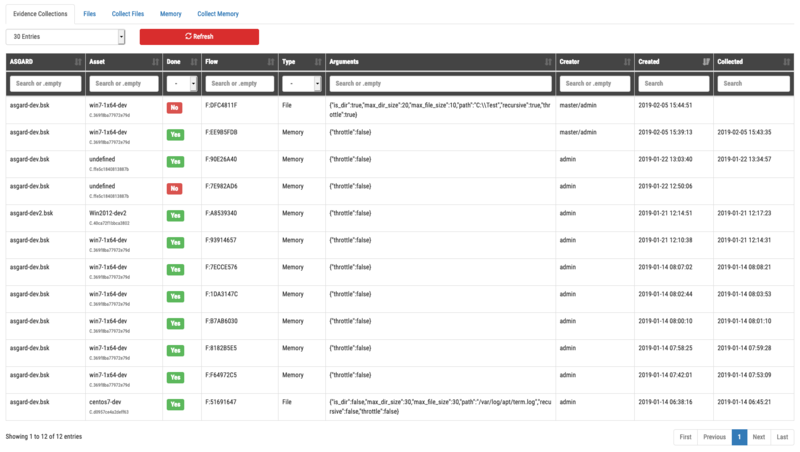 The data from all reports can be downloaded as JSON file. The upgrade will be visible in the “Updates” section of your Analysis Cockpit once it is released. See the change.log notes for a full list of changes. 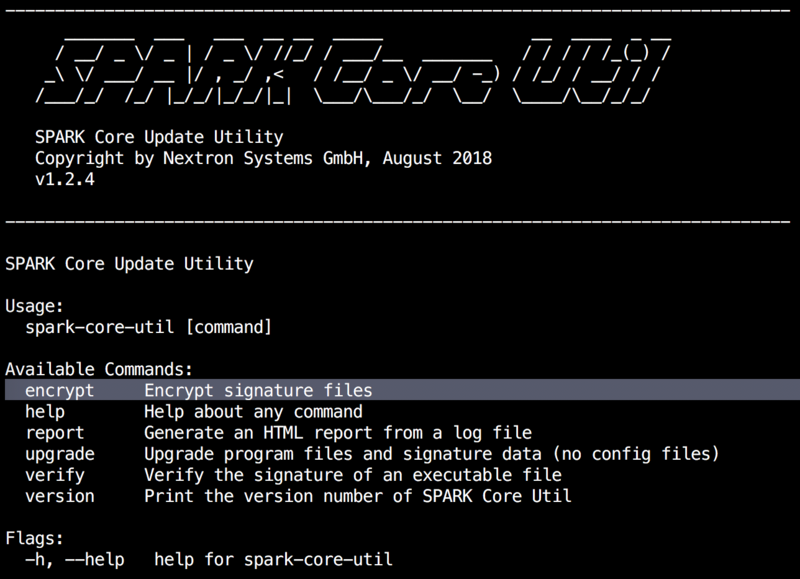 SPARK Version 1.17.0 adds extensive STIXv2 support. 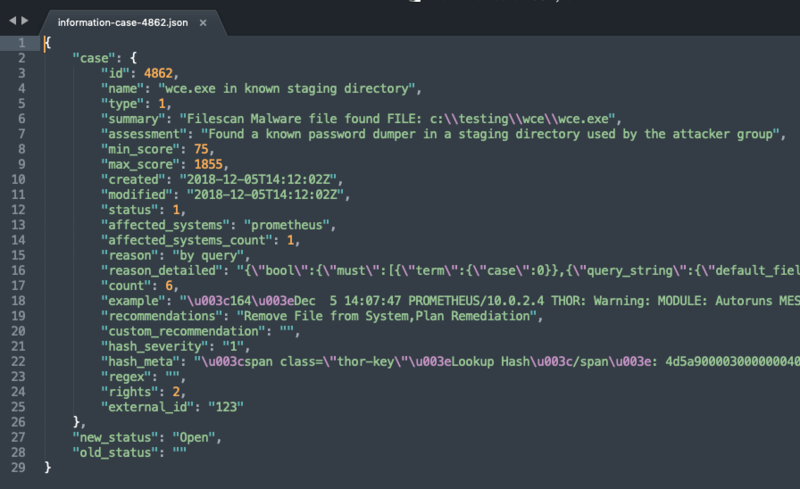 This allows you to easily extend SPARK’s signature bases with IOCs from any sandbox, analysis or threat intel platforms that support STIXv2 export by placing the exported *.json files in the ./custom-signatures folder. You can find a list of products that support the STIX data exchange format here.